Fishing is a great family activity, and kids are never too young to learn the basics. If you want to introduce our kids to the sport, or just spend a fun spring family day together, plan to spend part of April 6, 2018, in Chantilly, Virginia. On that Saturday, Fairfax County is hosting a free fishing day at Flatlick Stream Valley Park (near Walney Park), 9 am to 1 pm. Event organizers will stock the stream with rainbow trout. There will a welcome and check-in table will be located by the stream off Placid Lake Court. The stream will be stocked with rainbow trout. There will be very limited fishing gear available to borrow for this event, so if you have your own equipment, you should bring it. The event is free, but registration is required. 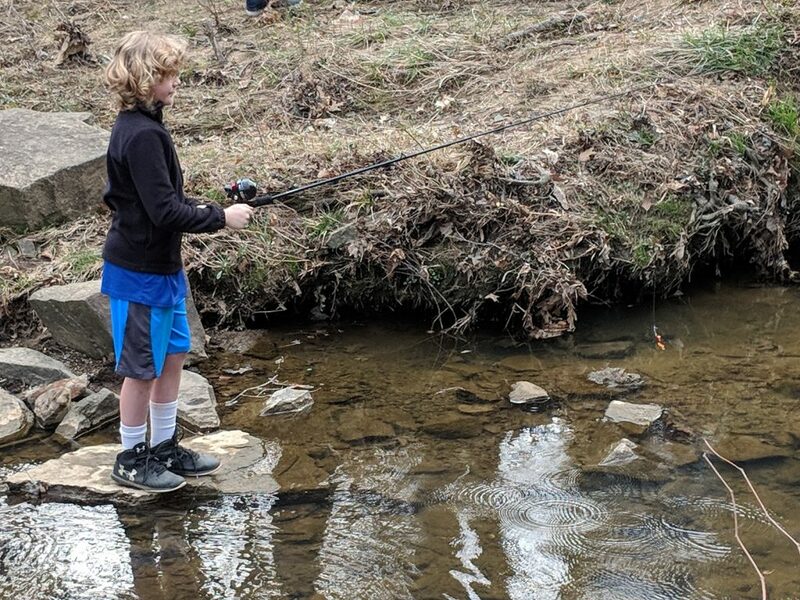 County staff, Trout Unlimited, scouts, and other volunteers will be there to help the kids bait their hooks and find that perfect fishing spot along the stream. Children ages 16 and up will need a fishing license for this event. The Flatlick Kids Fishing Day is located in the Flatlick Stream Valley Park, south of Route 50 in Chantilly. A welcome and check-in table will be located by the stream off Placid Lake Court in Chantilly. Parking is available along Chantilly Rd. Share the post "Fairfax County hosts free kids’ fishing day"